Agreeing to look after one of your parents or a parent-in-law in their later years is a big responsibility and may seem quite daunting if you’ve never been a carer for an older person before. There are many things to consider, from the practicalities of making your house suitable for them, to the emotional side of learning to adjust to having another adult in your home and the impact on you and your family. There’s a lot to arrange initially, but once you’ve found out what help and support is available to you, you will start to feel more comfortable with your new situation. Start by arranging an assessment of your relative’s needs and a carer’s assessment to identify the support you will require. You can arrange assessments through your local authority social services. The community care assessment is conducted by an occupational therapist and will look into what assistance is required in areas such as dressing, bathing, meal preparation and eating. The occupational therapist will also consider whether adaptations should be made to your home to help with limited mobility. He or she will then make recommendations as to what is required in order to provide an appropriate level of care and a suitable environment for your relative to live in. The care assessment itself is free, but services and adaptations will be means-tested, so will depend on the income and savings of the person you are caring for (not on your own financial situation). If your relative is registered disabled you may be able to get a disabled facilities grant to help finance major adaptations to your home, such as a powered bathlift or a stairlift. Your relative may already have items such as a raised toilet seat to bring to your home, but if these are needed and you don’t already have them you may be able to get these on loan through social services. Some people are also eligible for the Carer’s Allowance. This is dependent on your earnings and other personal circumstances. You can find more information at Carers Allowance Overview. 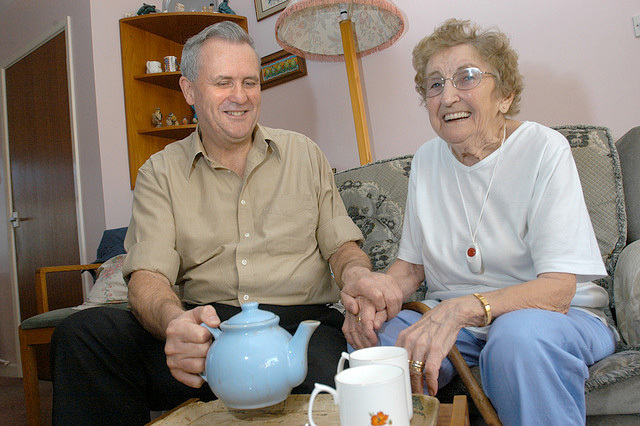 Being a carer for an older relative can be tiring, so you need to make sure that you take care of yourself. It’s important to get a break from caring every now and again, either through another family member stepping in to look after your older parent, or through formal respite care. You can find out more about the options for respite care at Carers Direct . If you are able to care for your relative at home it can offer him or her a better quality of life than they might have had in a nursing home. It may seem overwhelming to begin with, but making sure you get all the support you can will help to make life a little easier for you. 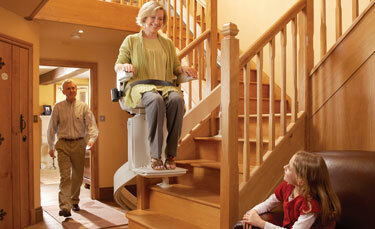 This entry was posted in Health, Stairlifts. Bookmark the permalink.